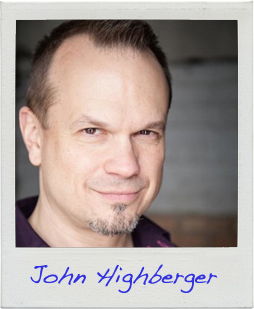 John Highberger was born and raised in Pittsburgh but moved to Chicago in 2000 to pursue his acting career in a larger market. At first intimidated by the sheer size of Chicago, he very quickly embraced his new home and is now thrilled to be living there. He recently completed a six-week course in stand-up comedy. He is looking forward to the coming year and what it has to offer in theatrical pursuits. He lives with his partner and their beautiful dog Lotus in an apartment with a view of Lake Michigan. Finally! Read the first page of John’s story!